The story in its premise is quite a simple one. We are introduced at the start to a girl named Angelica Domenico, born on an island ruled by earthquakes and volcanoes rather than the people on it. We witness her religious upbringing as well as various events in her formative years which would end up forming her seclusionist personality. Ultimately, the death of her aunt traumatizes her to the point where she seeks out refuge in the nunnery from her fear of intimacy and life in general. When it seems she is poised to live out a solitary life in service of the Lord, a certain Italian sailor by the name of Giacomo Scimenti finds his way into the family shop. Angela immediately falls for the handsome man and finds her life changed forever, now standing firmly on a path of self-discovery which will take her from a shy and broken young girl to a profound and thoughtful young woman. On this road, she must learn to deal with love and loss, her own identity, and the family values planted ever-so deeply into her soul. Though on the surface it might seem like Angelica is without a doubt the principal focus of the book, there is a second dimension to it which I would like to shed some light on, which is her mother's narration. As it happens, our point of view shifts regularly from Angelica to that of her mother which I believe becomes paramount in understanding the mindsets and motivations of the characters. Had we not been privy to her mother's thoughts, she would have seemed like the stereotypical protective mother who doesn't trust her child not to die the second she steps out into the real world. However, the insight we get into her mind demonstrates a different side to this sort of character, one which speaks of a mother's love for her child. Indeed, there is a great deal of internal conflict going on with the mother character, as she finds herself torn in a dilemma. On one hand, she wishes to protect her daughter from the ugliness of the world and the way she knows it treats women. On the other hand though, she wishes with all her heart and soul for her daughter to have more than she herself did, to give her life a greater meaning. I believe this speaks of a struggle which most parents face at one point or another, deciding whether it truly is time to let their children fly. As a result of all this characterization, the relationship between Angelica and her mother remains of great interest throughout the book, at least in my opinion. There are many threads and layers of complexity to their clashing values and ideas, and ultimately it just felt like a very realistic depiction of a mother-daughter relationship in difficult circumstances. It has some very real lessons to teach us about parenthood and family values. Beyond all the family stuff, we have Angelica's love story with Giacomo Scimenti, who by the way also appeared quite prominently in the previous novel of this trilogy. I was quite glad to see him return to the fore once again, bringing along his amusing observations and Italian-American heritage to keep a smile on our faces. Seeing Angelica depicted as nothing but a warm, loving and caring person broken by the events around her makes it all the more sweet and endearing to see her find a man we know can match those qualities. They definitely have a lot of bumps to hit down the road, but overall their story is an inspiring and heartfelt adventure which really leaves you with a feeling of complete satisfaction, an impression all is right in the world. There is one specific quality pertaining to this love story I would like to address, and it's the pacing. 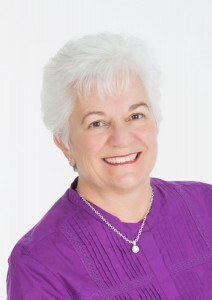 Generally-speaking, love stories, especially ones revolving around character development and family values, have a tendency to be slow and methodical, giving us all the time we need to process and absorb what we are reading. Personally, I much prefer Nina Romano's approach in this book where she ups the ante quite a bit in comparison with her peers of the genre. Believe it or not, the pacing is relatively quick as Angelica's life certainly doesn't seem to be destitute of difficulties and adventures (or misadventures). There is always something happening which bears an implication on the characters, whether they are growing through their own experiences or trying to overcome the nasty whims of fate. Considering how profoundly we get to know and love the characters, anything which has an effect on them becomes worthy of notice. 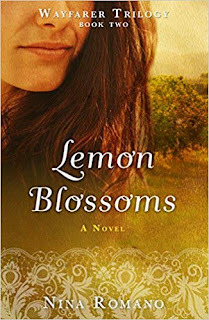 To close the show on Lemon Blossoms by Nina Romano, in my opinion it stands as an extremely engaging romance novel with a whole lot more to offer than just a love story. It deals with a multitude of themes including family values, the identity of women, the potential burden of a strict religious upbringing and coping with loss, just to name a few. 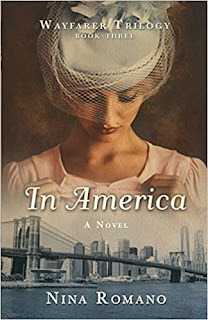 If you enjoy romance stories with a lot of depth to them with a heavy focus on family, then I have no doubt you will absolutely fall in love with this novel.